How can someone who really has no savings or financial backing start a lawn mowing service? The lawn mowing industry is pretty easy to get into due to the low start up investment required. However, there are still startup costs involved and if you really have no funding then you need to find ways of getting around them. 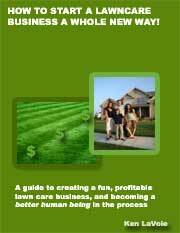 Here are some ideas for those who don't have a lot of money and want to start a lawn mowing business on a budget. Make use of any lawn care equipment that you or your family members already have. Supplement this by shopping around for some quality used equipment. You could even take this idea one step further. Look for customers who are able to provide you with equipment to use in return for a decent discount on their lawns. Using this method you don't need to transport equipment between jobs. You could even ride a bike or walk between lawn mowing jobs if you can organize a route that is within a reasonable distance of your home. One of the major costs involved with a new lawn mowing venture is transportation and the high costs of running a vehicle. Being able to walk between jobs is ideal but with so much heavy equipment involved you have to have your jobs in a very small area. 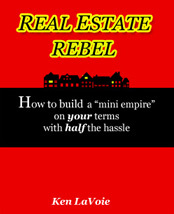 If you make residents in your street and nearby streets an offer to mow their lawns at a price that they can't refuse you may find that all your jobs are so close together that you can get around on foot until you can afford a vehicle. Make use of the Internet to get the lawn business startup information that you need for free. Freesourcing.org offers a directory of free business resources that you may find useful. Try to find a mentor in the lawn care industry. If your story is interesting enough or you are able to prove that you have the desire to succeed then they may agree to offer you free coaching and guidance. If you want to get started in a lawn mowing business cheaply then you need to look into the free advertising methods that are available. Look into using home made flyers, community notice boards, and personal introductions. Walk around your area and chat to residents whenever possible. Talk to everyone that you know in your target area and ask them to spread the word. You can also make use of the Internet to generate leads from prospects in your area by using websites like Craigslist that allow you to advertise for free. Design a website on a free platform such as Weebly.com and learn how to use free and low budget methods to drive targeted traffic to it. 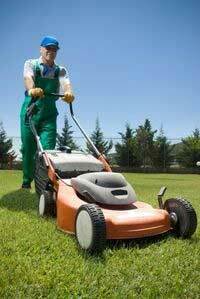 Email everyone in your contact list and let them know that you are starting a lawn care service. While you can delay some of the startup expenses for your lawn business don't wait too long as you could end up taking unnecessary risks. Establish a legal business structure as soon as possible to avoid getting into trouble with the IRS. Get licensed if this is a requirement in your area. You will also be taking risks at first if you don't have proper insurance so you should aim to get the appropriate cover as soon as possible. As the money starts to come in it is important that you set aside some for reinvestment into your lawn business. By starting out on a budget you will not be able to purchase the best equipment and other systems such as software that can increase lawn business productivity considerably. You will also not have the funds to spend on creating a professional looking appearance for your business so you need to invest in branding and marketing as soon as you can as well. If you are determined to start a lawn mowing service on a budget then there are numerous ways to do it. Once you get some experience, build up a reputation with your customers and save some money then you can slowly finance yourself into a more professional operation.